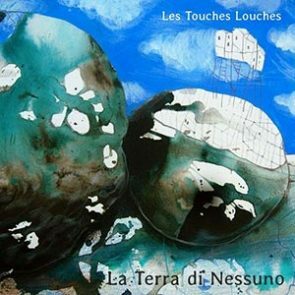 Les Touches Louches launch their new studio album: La Terra di Nessuno. An ode to journeys, in which Mediterranean sounds, gipsy music, deaming atmoshperes and sudden returns to reality are often mixed. Songs and music that are able to represent the imagined and true distances, which put men in front of his desires and of the walls built on the borders. Nessuno (No one) is the traveller, who seeks a new identity, he is a clandestine, that sneaks through borders. There arearrogant men trying to put him in a cage, building walls on his path, but he will figure out how to break through, taking with him desire and nostalgia, the sound of his own language and his own songs. The entire world belongs to him. This is the meaning of “La terra di nessuno” (Nobody’s land). Lyrics and sounds are influenced by the Mediterranean. There is some swing and, as usual, references to klezmer music and gipsy music. But, this time, from Eastern Europe and Balkan Peninsula, the quartet headed south, passing through Greece to get to Turkey and Middle East.